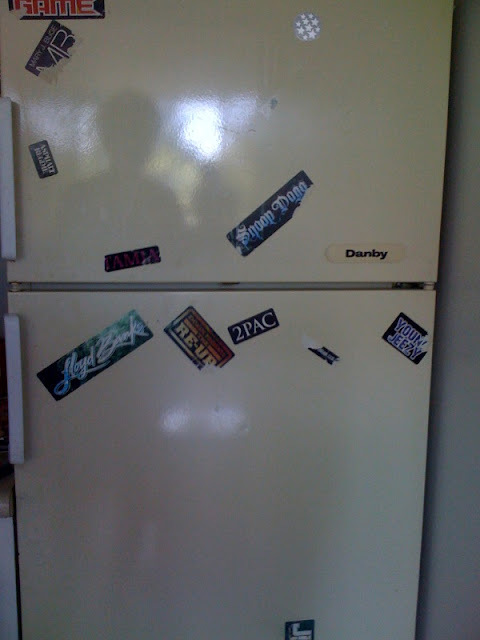 This is the fridge at my new place. These stickers arnt going anywhere. Mostly because they can't.